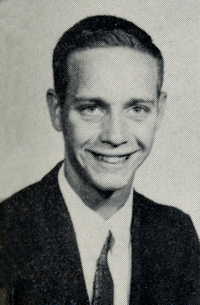 Obituary – Cockrun, Alvin Randall “Randy” « Perry High School Alumni Association, Inc.
Alvin Randall “Randy” Cockrum was born on May 13, 1945 in Perry, Oklahoma to Alvin Christian Cockrum of Perry and Dorothy Mae (Chaney) originally of Abilene, Texas. Randy departed this earth to be home with his Heavenly Father on January 28, 2017 at Perry Memorial Hospital. Randy married Sandy Knori on September 24, 1966 at First Baptist Church in Perry and their 50th Wedding Anniversary was recently celebrated. They are the proud parents of two daughters, Sheila and husband Mark Emerson of Oklahoma City, and Shelly and husband Eddie Johnson of Perry. They are extremely proud grandparents of Leah (Presley) Reid and husband Mike, Jacob Presley and Meleah Emerson all of Oklahoma City. Shelly and Eddie Johnson’s children are Captain Dustin Johnson of Cambridge, England, U.S. Air Force, Zane and Kassandra Johnson of Perry. Randy and Sandy made their home on a farm northwest of Perry and have spent the last four decades raising their children and spoiling their grandchildren. Randy’s service will be at the First Baptist Church of Perry, on Wednesday, February 1st, 2017 at 2:00 p.m. with Kent Ritchie officiating, graveside services will follow at Grace Hill Cemetery. Randy began working during high school at his Dad’s service station business. He owned and operated Randy’s Conoco, the 3-cornered service station on the southwest corner of the square. Also, he operated the 89er Conoco Service Station and 89er Restaurant. Then Randy and his father, Alvin Cockrum, owned and operated the Cockrum Oil Company located behind the 3-corner station. He retired from there but still remained involved in other businesses. He continued to share his auto shop, a/k/a man cave, at his farm where friends and family could come and work on their vehicles, watch football and enjoy life. 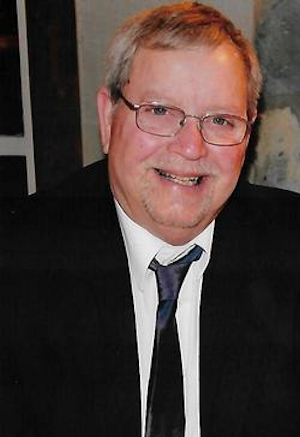 Some of his other hobbies were fishing, hunting, taking the family to the lake and enjoying his children and grandchildren. He also enjoyed his pet dachshunds and farm dogs. Randy is a member of the First Baptist Church of Perry, Elks Lodge, NRA and Cushman Club. In lieu of flowers, memorials may be made to the First Baptist Church of Perry and/or the Leukemia & Lymphoma Society, care of Trout Funeral Home, 1408 N. 7th Street, Perry Ok. 73077. Family will meet friends at the funeral home on Tuesday evening, January 31, 2017 from 6:00 pm to 8:00 pm. Randy is survived by his wife, Sandy, two (2) daughters, Sheila Emerson and Shelly Johnson; one (1) sister, Candace (Candye Cockrum) Bradway and husband Howard, grandchildren and numerous nieces and nephews. He is preceded in death by; his parents, Dorothy and Alvin Cockrum, brother, Chris Cockrum and nephew, Bryan Christian Chavez. Randy was a casual man that loved his Levi jeans. Therefore, please feel comfortable by joining us in wearing your jeans to his life celebration.